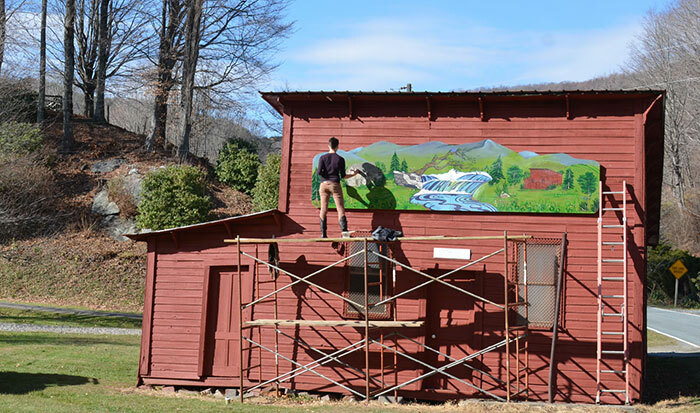 Three years ago, the Elk Knob Community Heritage Organization (EKCHO) partnered with the Watauga Arts Council to create a public art plan for the Elk Knob Community. Their goal was to promote sustainable development of the communities surrounding the Elk Knob State Park and stimulate people’s curiosity related to the culture, history and natural world on and around Elk Knob. 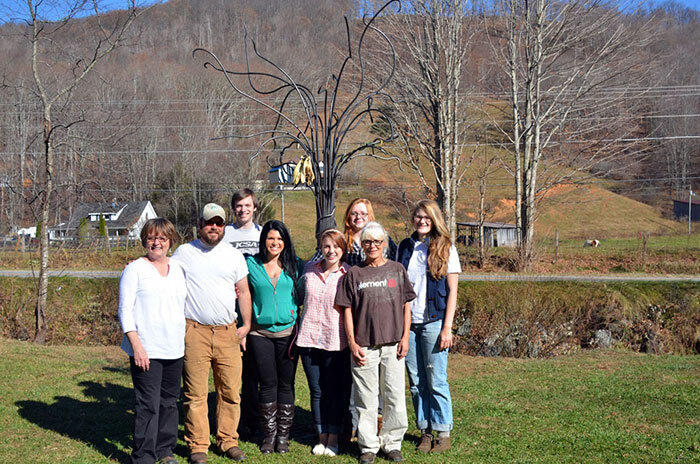 In fall 2012, twelve Appalachian State University Honors College students began to make this art plan a reality. Assisted by Tom Hansell, an assistant professor in the Appalachian studies program and faculty advisor for the project, students met with community members and designed work to ensure that their art projects were deeply connected to the people and places surrounding the Elk Knob State Park. 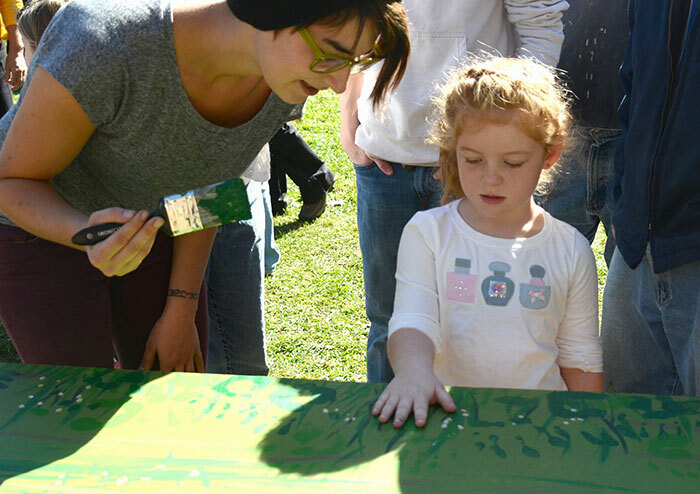 Working closely with EKCHO and the Elk Knob Community, students developed two public art sites – an iron tree and a mural –that reflect themes such as the movement of water, people and time; social interaction; and human involvement in the natural world. 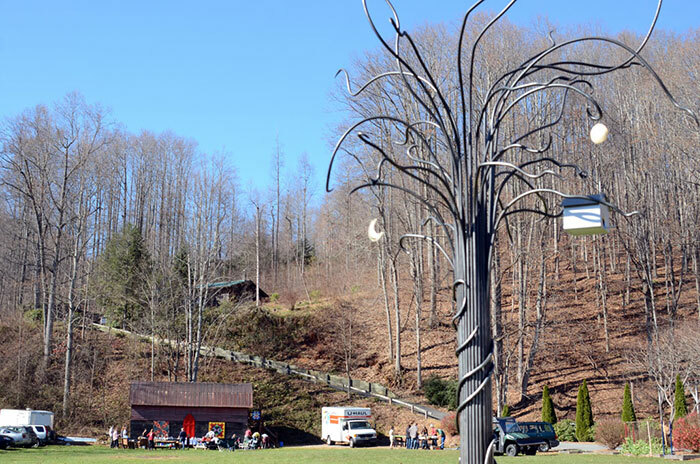 The iron tree is located on the Meat Camp side of Elk Knob and the mural is located on the Pottertown side. In addition, the students planned an “art raising” event in early November 2012 for the community to share in the experience of installing these new public artworks. Local community members created a border of hand prints on the mural, and made stepping stones with local materials to surround the iron tree. After the event, the iron tree was installed at 1401 Meat Camp Rd., and the mural was mounted on the Old Eller Store on South Road in Pottertown. 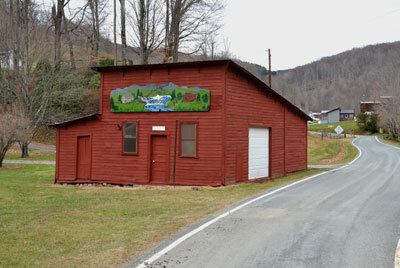 Materials and labor were donated by Watauga Building Supply and local metal artist Zachary David Smith-Johnson. Sophomore Nick Smith said he found the project to be among the best ways to learn. 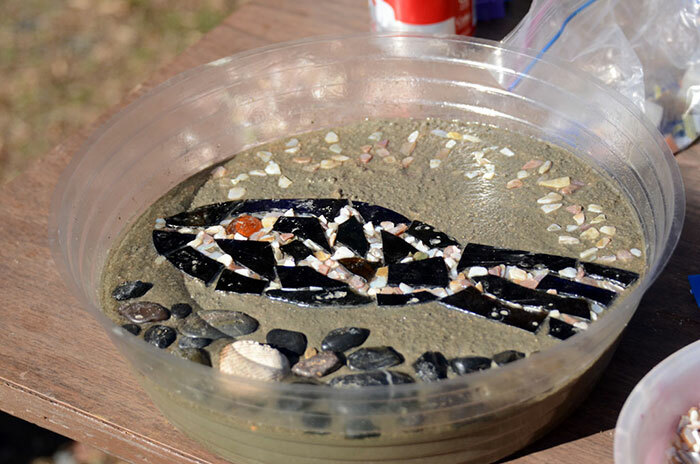 “Not only did we have our in-class, preliminary lecture- and reading-based learning, we were able to apply what we learned to a real project. It’s very rewarding to be a part of a project where you can see the tangible results of your time and the immediate impact it is having,” he said. 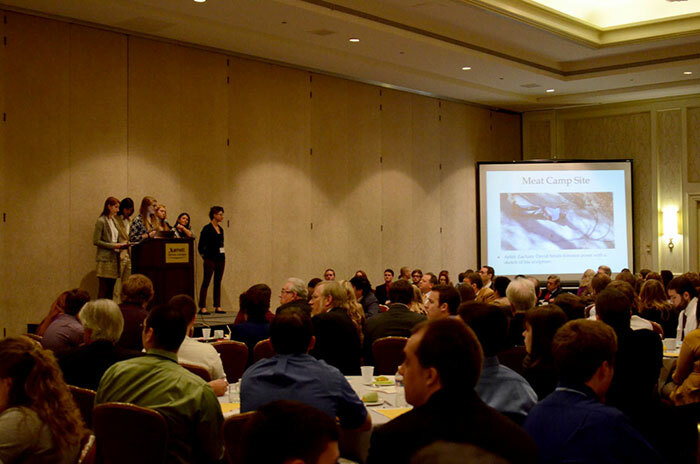 Presenting their work in Washington, D.C. 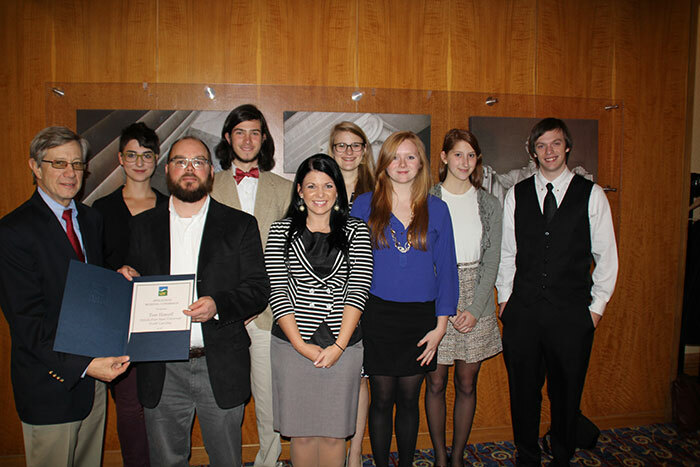 Seven of the 12 students presented their work with EKCHO in Washington, D.C., in late November 2012 at the annual conference of the Appalachian Regional Commission’s (ARC) Appalachian Teaching Project, which supported the local project. The ARC’s Appalachian Teaching Project offers students an opportunity to conduct active community-based research on their campuses. “I was excited to see that the government has interest in investing in the future of this region which I dearly love, and that they trusted students and locals to work together to create solutions,” said Kimzey. Iron Tree – “Planted” at 1401 Meat Camp Rd. 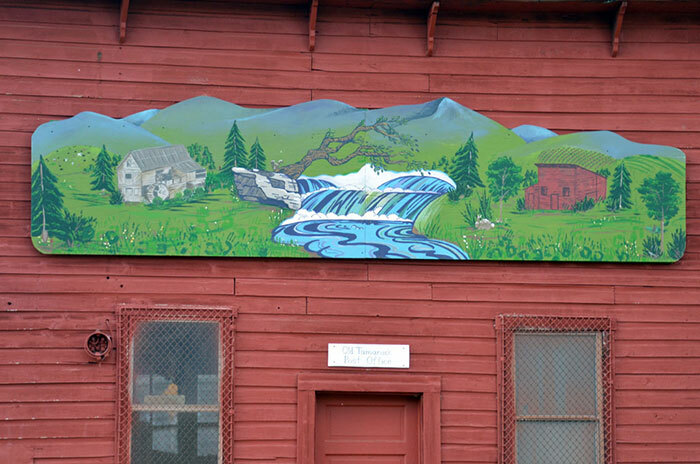 The Old Eller Store on the Pottertown side of Elk Knob now features a student and community designed mural.